Finally, a dream has come true where humans will be replaced by machines or technology. Everyone has watched Star Trek serial which used to be a fascination of a different world. We have now originally created the same but are we creating a sustainable economic growth and social development. Today I will depict one of the tools of strategic cost management called Balanced Scorecard and its relative measure of the technological advancement and its link with the same. The motive behind this short article is that we need AI driven Balance Score Card Approach. Balance scorecard and technology-driven process need a quick look at how they are getting linked to each other or there is some gap between the same. Balanced scorecard 4 principles need to be aligned well with changing technological innovation in the long term otherwise organizational imbalances will emerge as one of the key bottlenecks for long-term sustainable business. Cost management and Technology helped the societies across the world to develop and grow and prosper into a much-advanced civilization. Now in the current or upcoming decade, we are witnessing trends of cost management leads to zero marginal cost of production followed with advanced technology replacing human manpower. Cost management has been able to resolve the issue of getting prices lower so that equal participation could happen from the society is achieving the balance of living standard. This is one of the key principle benefits of the subject, but with the advancement of technology and now AI and other modes which are taking over the traditional practices would spook imbalances in many fronts. 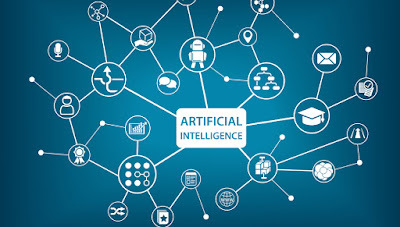 Unemployment is the key fruit of AI and Block Chain. I will keep IOT out of the thing as this helps to build efficiency in accordance with the principles of the Balanced Scorecard. Customer satisfaction which is one of the key pillars of Balanced Scorecard is the prime focus of the emerging economies but they are forgetting that easy money investments days in return of negative ROI is going to end soon. Once the easy money comes to an end and ROI is being demanded the investments in technology would decline and that’s the place where again one has to start the with human labor. The economic loss due to financial frauds is multifold and not restricted to any country or family. Where a family suffers financial loss due to online frauds, an economy and insurance companies also face the same. One of the most interesting parts of studying this subject is that individual loss could boil down to an economic loss when that family due to financial loss degrades the middle-class family just below the poverty line or below the poverty line. This subject and aspect are often ignored in a financial fraud based economic loss. Fraud from Banks and other places creates a big hole in the pocket which effects consumptions of an economy in the long term. This subject is quite ignored but when taken on cumulative basis the affect could be multiford. The income inequality widens and creates a multifold problem for the family or for the society at large over the period of time. One fraud can convert a golden spoon into bronze one. Coming to India we find Public Sector Banks in India lost at least 227.43 billion (Rs 22,743 crore) owing to fraudulent banking activities between 2012 and 2016, according to an IIM-Bangalore study. This was recently informed by Electronics and Information-technology minister Ravi Shankar Prasad in the Parliament, citing Reserve Bank of India (RBI) data. Prasad said there have been over 25,600 cases of banking fraud, worth Rs 1.79 billion up to December 21 last year. According to data released by the apex bank for the first nine months of FY17, approximately 455 cases of fraud transactions - each of Rs 1,00,000 or above - were detected at ICICI Bank; 429 at State Bank of India, 244 at Standard Chartered Bank and 237 at HDFC Bank. Hence being cashless can lead you to be really cashless. Cloning of data is one of the fastest and silent ways of hacking and stealing financial information. Many articles have been written on various online frauds and scams. Now among the thousand articles I have come up with some real experience and so new but common smartphone based scams which are duping the customers. Online frauds have been a most known topic but what about online financial scams through smartphones. It's not restricted to any country as of now. 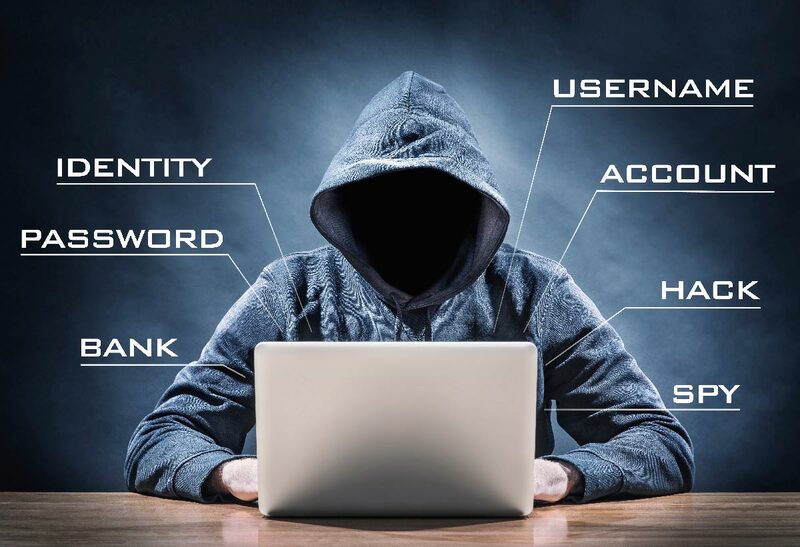 Recently around 148 MILLION U.S. consumers were put at risk for identity theft last year when their sensitive financial data—including Social Security numbers and credit card and driver’s license information—was hacked in a data breach at the credit reporting company Equifax. Every website is secured until its breached. Smartphones are really smart for the crime world and particularly for the hackers. Financial Transactions comes up with OTP which is further autosaved and not being executed manually. It does not ease of doing business. Please don’t place everything on the shoulders of the technological advancements and innovation. Certain things need to be manual so that hackers could be kept away. Recently many of us might have received SIM card swap option. One of the most deadly and the funniest part is that in case you want to block the sim it takes time and also mobile operators in case of pre-paid connection fail miserably to provide you any proof of the number is under your name. Yes, Post Paid we get statements and documents but what about pre-paid. Does this mean that Pre-paid people are of no value? Remember most of the misuse of sim card related issues happen in Pre-paid phones. Many of us have recently started getting sms text followed with links to online shopping or financial investments or asking to upload personal details like adhar and pan card. Well these text sms based online links are all cloned websites smartly created to fool people. If you click on the link in the text directly, the scam artist may be able to install malware that can collect personal information (account numbers, passwords, etc.) from your phone. Mostly all phones we have e-commerce apps and we have all our credit card or debit card and bank account details auto saved. This is the key data which they easily get once you click on these offers. The phone call based scam has become old since with the stupendous growth in the last couple of years. Scammers are so smart that the caller ID might show the call is ostensibly from a bank, creditor, insurance company, or government agency. Investments related frauds can be executed in the same way just by cloning the websites. SMS and texting are one of the most critical baits for the online scammers. Every financial app or website is secured but when a breach happens only Gods know who hardly speaks. I think Harvard University should open and deploy these hackers to create some good stuff for the benefit of the society rather being a scammer. Swiping at shops and petrol pumps has become riskier. Reason being is that nowadays most banks have turned to payment cards where data is embedded in a small chip, rather than on a magnetic strip. This chip is the data provider to the scammer. Enter the “shimmer,” a thin card-sized gadget that con artists install on machines at various swiping points or gas pumps. These “shims” contain a microchip that can read and transmit information from your card. Though your chip card cannot be cloned in the same way that a strip card can, bad guys can glean enough information to make purchases using the extracted data.We are often surprised how my data of cards got lost. Well, next time look before you leap. Pop based online virus attack and vendor connection are new in the breed where your computer freezes, and you get an ominous pop-up telling you to immediately call this number for Apple, Dell, HP, or Microsoft. When you do, you’re connected to a “technician” who informs you that your computer has a virus and all of your files are at risk. It seems legitimate and terrifying. The tech guy might ask for remote access to your device, then guide you through some diagnostic tests where you can see “proof” that there’s a problem—when in fact there’s none. Such ploys are convincing enough that countless people have turned over credit card information to pay for unnecessary “repairs.” They even install malware and keep a track of your computer always when you are online where you never come to know about the same. These segments are growing up like anything. It's better to remember the numbers in mind or save somewhere else where next time it becomes handy but not auto-saved. Autosaved and freeing our memory have become the most important bait for the online fraud people and scammers. Most people travel during holidays with families. Booking online tickets from pop up website is a big risk. Better to buy the same from the original website. Often AI and big data analytics capture the searches of our online shopping. We occasionally click on the same to browse further. 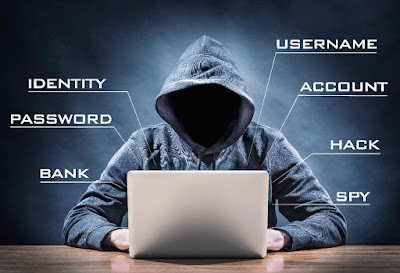 This is the place of hackers were a cloned website can make huge shopping at your expense may not be immediate but obviously in the near future. Cheap and lucrative offers need to check before blindly getting into same. Facebook likes are also often used and framed by the hackers. Blindly liking post can be dangerous since the cloning of websites could be of great risk. Online frauds have also taken a step higher than the ones who protect the system. We should avoid all these traps. Financial frauds happen only when you save the data and you don’t take a proper risk assessment. Many of us think that scam happens to rich people. Well, scam always happens to people who are on the roads and not in high rise skyscrapers. Online savings of data and swiping at any places should be avoided. The global economy faces a huge threat from the growing cashless economy.